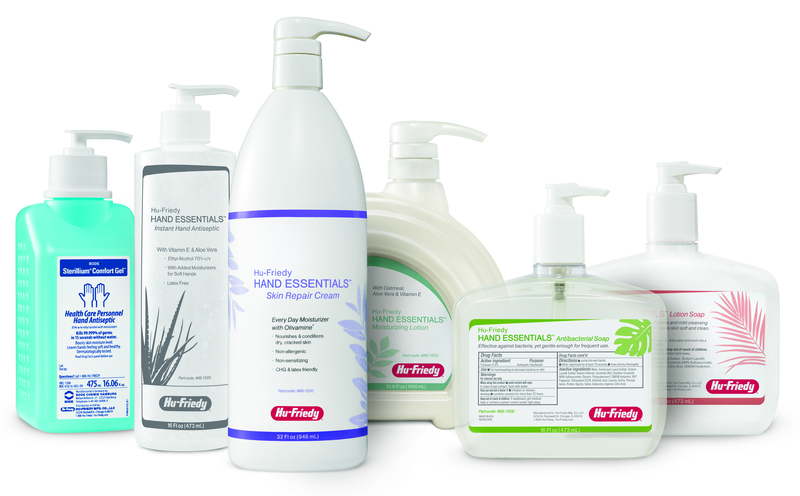 Hu-Friedy introduces Hand Essentials, a complete line of premium hand care products, including moisturizers, soaps, and sanitizers that provide dental professionals with medical grade products for hygiene and help with infection control program compliance. The line includes Sterillium Comfort Gel, an easy-to-use hand sanitizing gel that kills 99.999% of a broad range of nosocomial pathogens within 15 seconds and contains moisturizing emollients that increase skin hydration. The line also includes a Skin Repair Cream with Olivamine to help deliver moisture and nutrients to the skin. Instant Hand Antiseptic, Antibacterial Soap, Lotion Soap, and Moisturizing Lotion round out the Hand Essentials line.